This summer has been one of the best in memory, and with everyone getting plenty of time to take their cars out on the road and to shows, classic car storage has been far from anyone’s mind. Older folk have repeatedly told us that the UK had not seen consistently warm temperatures like it since 1976, and thanks to this particularly pleasant season, the UK classic car scene has been more vibrant than ever before. Anyone who came to one of the The Classic Motor Hub’s Coffee and Classics events will agree that the car community has never been more alive and well, and the dry roads and blue skies were all the encouragement people needed to coax their usually recalcitrant pride and joy out of the garage. Sadly, autumn has come and the weather is on the turn. Roads will soon be wet and muddy again and wholly unsuitable for the precious machines we love. Weather forecasters are suggesting this winter could be particularly bad with temperatures predicted to be colder than usual, which of course means councils will be salting the roads more intensively. All this is bad news for old cars; unfortunately, no amount of wax-oiling will protect the sensitive areas of bodywork and chassis from rusting and so the best thing to do is to lay the car up over winter and wait eagerly for spring. Most of us don’t have the luxury of space to safely store cars for long periods of time and so they often get left on driveways in the mistaken belief that a car cover is going to be enough to keep the cold weather away from the delicate moving parts. Cold weather has been known to crack engine casings in pre-war cars and those from later eras are also susceptible to engine blocks and oil sumps developing minute cracks and fissures that develop into serious issues when being fired up for the first time in months. The only way to avoid such issues is to keep the car in a space that will not drop below freezing. Cold weather is not only dangerous for the mechanical components but interiors are equally at risk from the winter chill. If leather and plastic parts are kept in cold temperatures for too long they will start to degrade. Plastics become more brittle and nicely patinated leather will develop more serious cracks. Car covers also trap moisture and can actually encourage rust to develop under the paintwork and the damp air is not able to circulate which is damaging to interiors. 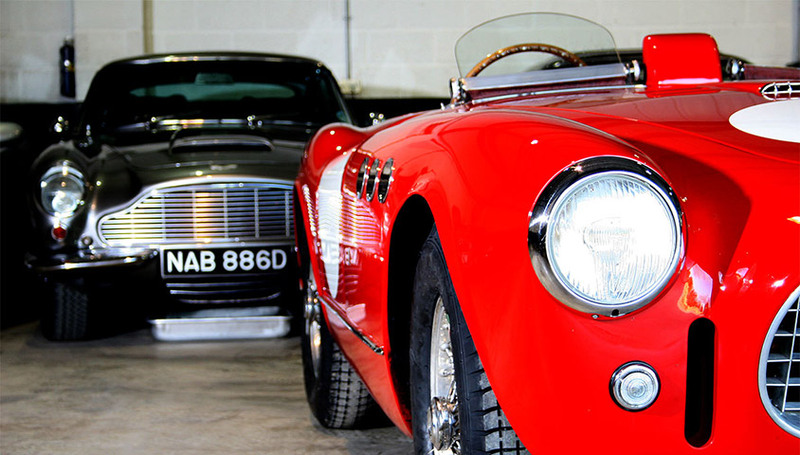 When you choose classic car storage with us, it will not just sit static for months on end. 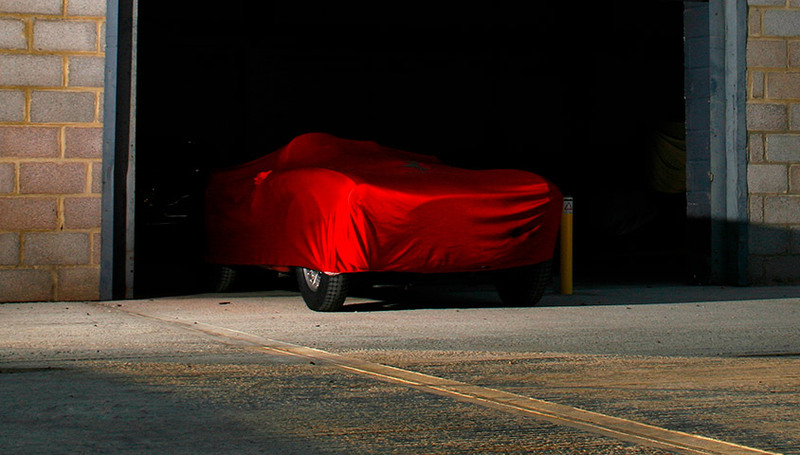 All cars kept in The Classic Motor Hub Storage are kept in a dehumidified environment and covered if necessary. However, cars are regularly moved so as to ensure that they do not sit under blankets for months on end, tyres are allowed to rotate and the air inside the cabin is not left to stagnate. In recent years, classic car storage services has become big business the UK. The value of vehicles continues to grow and the space available at peoples’ homes is at an ever-increasing premium; classic car storage the most convenient solution. There are however more benefits other than simply freeing up space at your home. Storing your car over winter takes another element of hassle away from classic car ownership. Under our care every car is kept in running order; batteries are conditioned, fluids topped up and tyres correctly inflated. We even take care of the more boring aspects of car ownership, organising MOTs and servicing with the most reputable garages and we can even offer competitive insurance rates through our partners Footman James when it comes to renew your policy. However, classic car storage is not only for the most valuable motor cars. Every car is equally at risk from the weather, from thieves or even rodents. With varying degrees of storage solutions on offer, more and more people are opting to store their cars either full time or just for the winter season. Furthermore, as you have likely seen from our Coffee and Classics events, it does not matter to The Classic Motor Hub what your car is worth, every car is treated with the same level of care and attention. When your car is safely stored at the Classic Motor Hub you can rest assured that it is being looked after night and day in a secure facility by people passionate about cars; people who know the intricacies of nearly every classic car and have the mechanical sympathy to handle the diverse needs of a range of models and eras. It is only when professionals are employed that you can be sure the proper care is being taken.